You'll feel like you are in Italy when you open up this 6 foot Euro inspired patio umbrella. Taking in the sun on the Amalfi coast is to some a dream come true. In the case of the DestinationGear Italian Bistro style umbrellas, you'll feel like you are in Italy when you open up this 6 foot diameter shade provider. 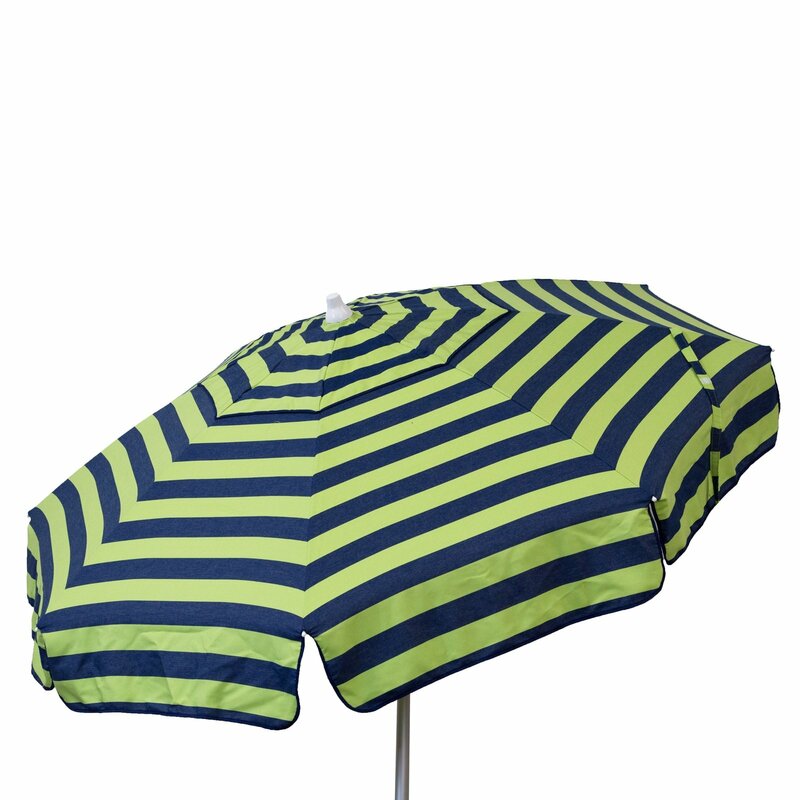 Stylish, high-quality and designed for the patio, this navy and lime striped umbrella is perfect for any get together. Wind Vent | Sun Protection Dimensions: 72" x 72" x 94"